Originally orangeries date back to the 17th century where they were used to protect orange and fruit trees from the winter months in luxurious residences. When fruit became more reasonable to buy they were then used to store decorative plants and seen as a perfect garden room creating a symbol of status among the wealthy. Whilst their sense of luxury still remains, they are now ideally used as a room to entertain or dine. Both conservatories and orangeries have evolved over time to add extra space to the home creating the perfect room to overlook the garden. 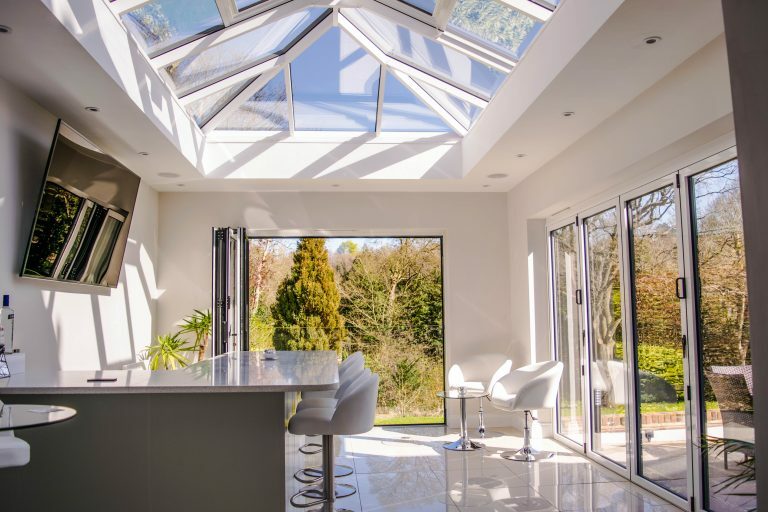 They are similar in the sense that they both feature glass roofs and a large glass space to allow lots of natural light in, but while a conservatory is mostly made up of windows and frame, orangeries use a combination of brick pillars, glass and a roof lantern to become a real part of the home rather than just an extension. 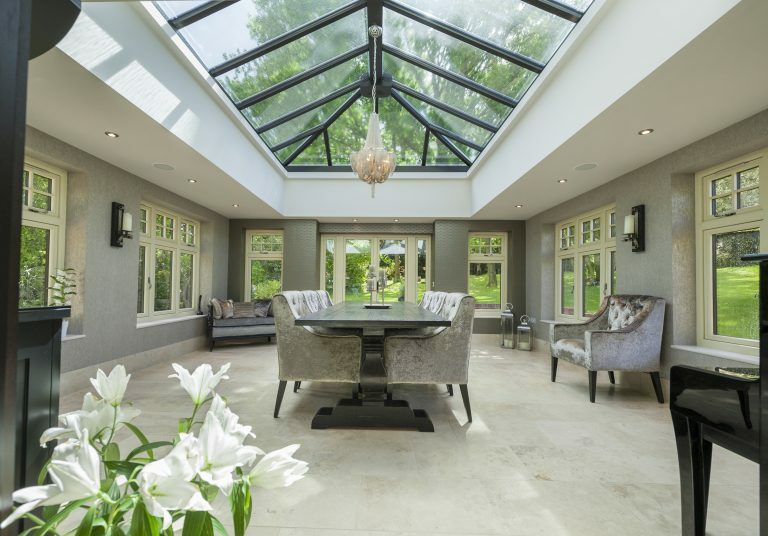 The grand, interior height of an orangery and the supreme aerial views achieved with the roof lantern flood adjoining rooms with light creating a stylish ambience. An orangery can complement different architectural styles more easily than a conservatory so they are often used for a dining area as they offer more privacy. With industry-leading thermal performance, the modern orangery makes a great versatile room. It offers the shade in the summer and the extra warmth in the winter making it a perfect all year round space! With over 30 years experience in the industry, we are able to offer a bespoke service to design the orangery of your dreams. Customise every aspect of your project whether it be colour, style or size. GHI orangeries can feature any of our different window, door and roof combinations to really give it the wow factor. Visit any of our showrooms to see examples.